As disappointing as it may sound to a FOSS supporter, GNOME shell offers very little customization options. Fighting a battle against Unity for desktop dominance, it has come a long way from being a buggy, clumsy interface to a solid desktop. GNOME Shell was designed in a way that the desktop becomes a part of your workflow without any interference. 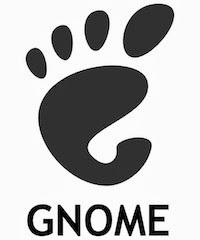 Over the months, GNOME Shell has parted ways with many other competitors in the Linux desktop space like Unity and Mint due to its radical approach towards design. However, despite its polarizing nature, the continuous efforts of the developers have made it possible for longtime desktop users to start loving it. Its simplicity, constant progress, and stability are some of the top qualities that make GNOME Shell a fabulous desktop. 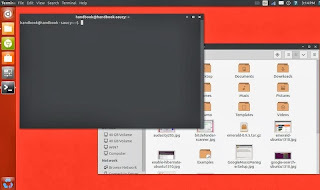 Not just that, the ability to extend the desktop with Shell extensions is a novelty concept, and when compared to Ubuntu or Mint, that feature is what makes the good ol' GNOME a dark horse in the desktop race. To install the following themes, you'll need to have GNOME Tweak tool installed on your computer. Remember the tempting theme I talked about earlier? Well, this is it. Numix is a beautifully designed theme that, in my opinion, should be the default theme on GNOME Shell. Not only does Numix keep up with the flat trends, it also has a dark, seductive appeal to it with the hints of red that it brings along. If you are using GNOME already, you definitely have to try this theme out. 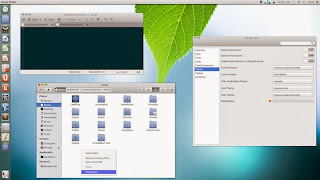 Faenza icon theme is quite popular among Ubuntu users as it gives the desktop a more flat, squarish appeal. The icons are clean and minimalistic and the theme itself has been around for quite a long time, making it one of the most stable themes on the list. Furthermore, most of the known applications are already available as a part of the Faenza icon set. Apps like Ubuntu One Music and Ubuntu Online Accounts are also included on the list making it a perfect theme for the desktop. Whether you are a Mac OS X fan or not, this next theme will make your GNOME interface look like one. Don't worry though, this is not a transformation pack. The GNOME Cupertino theme brings the best elements of the Mac OS X experience to your GNOME desktop without making itself look like a cheap clone. With rounded buttons and a hint of blue, Cupertino fits snugly with the rest of the interface. In fact, until you open the file browser, the interface won't even let you know that it is inspired by Mac. However, once Nautilus opens, you'll see those trademark red, green, and yellow buttons on the titlebar of each window. One of the best things about this theme is that once you install it, the fonts on your desktop look better than ever before thus making it a good contender for making it a favorite. Or, you can download the theme from HERE.